Needed more harbor detail scenes. But I just like boats. ;-) Not sure if this was the episode but I loved how Bubbles was more at home on the boat and dock than Jimmy. Well, the FBI get what they want here, which is the destruction of a corrupt union organisation. This also, coincidentally, means there's no-one left to protect the docks. They will only further decline. I think (and I noted this on an earlier episode) that its sort of notable that the show doesn't quite let the union off here. Sobotka's argument is that we used to build things here, and he was trying to make sure people had work, but given the option to modernise the docks he refused. His reasons were laudable of course, as he wanted everyone to have work, but he wanted them to have work that was no longer competitive. No matter how much money he was going to sink into lobbying, it was never going to work with outdated equipment. That, of course, is the tragedy of this: Frank's sacrifice is pretty much for nothing. Massive amounts of money sunk for nothing but richer lobbyists and politicians, and the union shut down, the dockers unemployed. The whole "we missed the Greek by a few seconds" is a little annoying, but eh there you go, the Wire is full of these sort of things when you look for them. For now, the Detail will be back to its season 1 goal: getting Stringer and Avon. 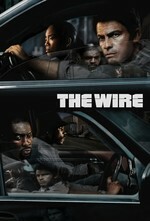 I propose that we get fewer comments on season finale episodes of The Wire because it's always such a bummer. I've never seen a show that so relentlessly breaks your heart. I've always loved the second season. It's not my favorite, but it's pretty close. It might just be the bleakest season ending, too. In other seasons, there are signs of hope, at least for one or two characters here or there. At the end of season 2, nothing has been accomplished, and the main character, the city, has been damaged even further. The docks were, at one point, a vital component of what made the city what it was, and at the end of the season, the docks are that much closer to dead (other ports are more modernized, or more convenient), and another avenue to scratching out an 'honest' living is largely gone. The third season, with its focus on development and politicking has always felt like a letdown after the tragedy of season 2. Also, the fact that they did this in season 2, when the show wasn't really established, has always struck me as incredibly ballsy. To change the focus of the show so radically in the second season could have killed it, but they did such a good job, told such a good story that it didn't matter. This is by far my favorite season, not even close. I think it's interesting to watch how these different characters turn out, who they ally themselves to, and how that works out for them. Ziggy wants a father figure desperately, but all the candidates reject him. If only he and Frank could have forged a stronger bond, it's possible Ziggy would never end up in prison and Frank would not end up murdered. In terms of the surrogate father/children theme. Carver and Herc definitely felt like kids who had been left out throwing a tantrum. Yes, it was crappy to forget them, but they don't process it like adults. This, clearly, sets up a huge rift in the final scene with the two of them off to themselves. That scene reminded me a lot of things that happened to me as a kid. I got forgotten at a lot of places because both my parents worked in healthcare and so it could take two hours to realize that NO ONE had picked me up at (school, friend's house, etc).